While we may rejoice at the approach of spring as it spells the end of the dreary cold winter, pet owners need to be extra vigilant as the warmer weather also means the start of the flea season. Fleas pose a threat to pets all year-round, but it is during the warmer months (as early as March in some parts of the United States) that they are the most active. They thrive in moist conditions and at temperatures around 75 degrees Fahrenheit, which makes spring the perfect season for eggs to start hatching. It takes anywhere from two days to two weeks for flea eggs to develop into fleas, so you need to be on the lookout for fleas on your pets as soon as it starts to feel warm.Fleas have a flexible life cycle and eggs can lay dormant for more than 100 days, which means it is possible to find them anywhere, from inside the house to outside in the garden, as the weather warms up. If you notice your pet scratching more than normal, they may alreadybe playing hosts to fleas. Part your pet’s fur, taking special note around their ears and rear, and look for fleas (they will resemble tiny black specks). Even if your dog or cat isn’t scratching, do a check for fleas at least once a day, as some pets may have a higher tolerance when it comes to scratching an itch. 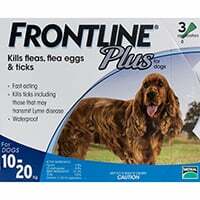 Killing fleas in spring is most effective when you have taken some preventative measures before the season even start. 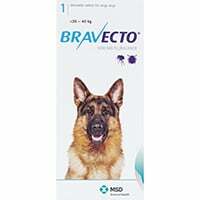 This means giving your dog or cat continuous protection against fleas. You can do so with either an oral or topical medication. 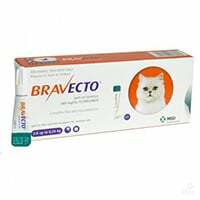 You can give your pet Bravecto chews (for dogs) or Bravecto topical (for cats and dogs) every 12 weeks to kill fleas, eggs, and larvae, and prevent new infestations. 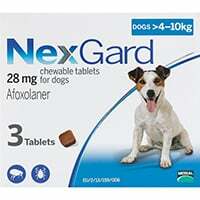 There is also NexGard for dogs (and puppies as young as eight weeks), which offers your pet 30 days of protection from fleas, on top of killing fleas, eggs, and larvae. 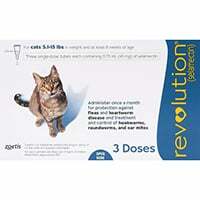 Revolution and Frontline Plus are very popular and effective monthly treatments to get rid of fleas, eggs, and larvae on your pet.They will protect your dogs and cats from fleas for 30 days, and are designed to be used once a month, preventing new infestations. 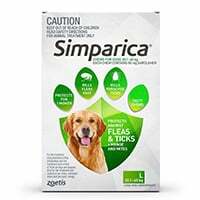 To get rid of fleas in spring, you need to embark on a good clean of your house to make sure flea eggs don’t get the chance to develop into adult fleas. Like adult fleas, flea eggs and flea larvae cannot survive in direct sunlight, so open windows and allow the fresh air and sunshine to flood your house. Vacuum thoroughly. Wash all linen and hang them out to dry in the sun. If you think you are already fighting an infestation, you may need to do more to get rid of fleas in the house. Pay attention to your yard as well, since there may have been an increase in bushy growths, dead leaves, and wood piles during winter. These are all areas that will encourage fleas not only to grow, but to multiply. Clear any debris, mow the grass and just as in your home, expose as many areas to sunlight as best as you can, to kill successfully kill fleas in spring.